The Bali administration has drafted a bylaw on tourist contributions for the environment and cultural preservation, which has been discussed with the Bali Legislative Council since December. Bali Governor Wayan Koster said the revenue from the tourist tax would be allocated to fund programs on preserving the environment and Balinese culture. “This will give us better fiscal space to support the development of Bali,” Koster said at the Bali Legislative Council building. A renowned tourist destination, Bali welcomed 5.7 million foreign tourists in 2017, most of whom came from China and Australia. The number was expected to exceed 6 million in 2018, in which the island province hosted international events such as the Annual Meetings of the IMF-World Bank. The province is also battling against the growing volume of plastic waste that has polluted its beaches and waters. The Bali Environment Agency recorded that the island produced 3,800 tons of waste every day, with only 60 percent ending up in landfill. Plastic waste became so unbearable that the administration banned single-use plastics like shopping bags, styrofoam and straws. The ban, as stipulated in Gubernatorial Regulation No. 97/2018, is expected to result in a 70 percent decline in plastic found in Bali's marine environment within a year. Koster said he is optimistic that the tax would not discourage tourists from visiting the island. Bali is not the only tourist destination to have imposed a tax on travelers. This year, Japan also started collecting a departure tax, known as the sayonara tax, of 1,000 yen (US$9.10). But the levy applies to both Japanese and foreign travelers leaving the country by plane or ship. 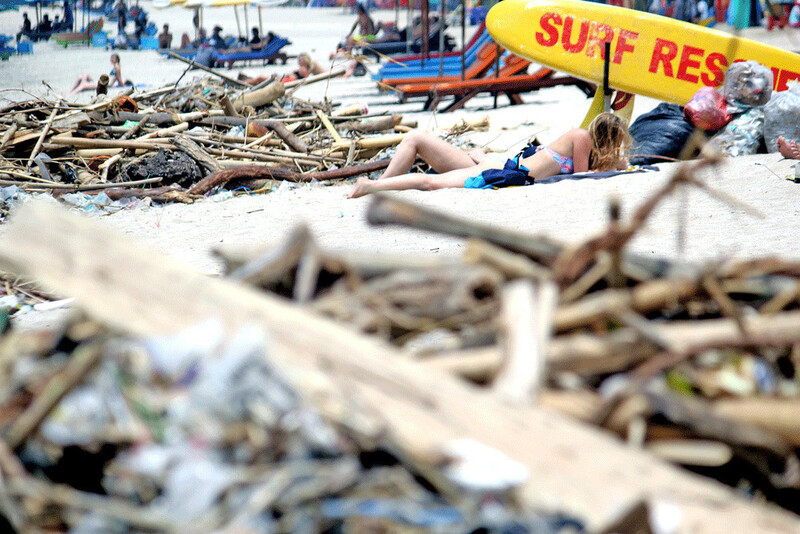 Koster said the policy will be imposed only on foreign tourists, not domestic tourists, because of a directive from the central government that has targeted Bali as the pilot project on a waste management system in a tourist destination. The Bali legislature is deliberating how the tax will be collected. The council and the administration are considering whether the levy should be included in the airline ticket or collected at special counters at the airport. The first option is seen as more feasible with the help of airlines. The plan on the foreign tourist levy is supported by local leaders. “Contributions from tourists are needed to help us preserve our environment and culture. Tourists come to enjoy our environment and culture. Why not contribute to preserving it?” said Bali Legislative Council Speaker I Nyoman Adi Wiryatama of the Indonesian Democratic Party of Struggle (PDI-P). Ida Bagus Purwa Sidemen, the executive director of the Bali chapter of the Indonesian Hotels and Restaurants Association, said the group was not worried that the levy would deter tourists. “As long as the levy is used for preserving environment and culture, I think it would not cause a decline in tourist numbers. However, if there is no real program following the implementation of the bylaw, tourists may feel disappointed and it would lead to a decrease in tourist arrivals,” he added. Chairman of the Association of Indonesian Tour and Travel Agencies Bali chapter Ketut Ardana also warmly welcomed the plan, saying that it would not discourage tourists from visiting Bali. "Actually, it has been discussed in Bali for a long time. If it could be implemented now, that would be really good," Ardana said. Ardana said $10 is not a large amount of money for tourists. "Other countries also charge foreign tourists. I think $10 won't affect them. If we visit Dubai, we should pay $11 per person and we pay it," he added. Tourism expert from Udayana University Ida Bagus Puja Astawa also support the initiative. He said a study in 2015 found that 60 percent of foreign tourists were willing to pay for the conservation of nature and culture. "Most foreign tourists think it is necessary to preserve nature," Puja said.